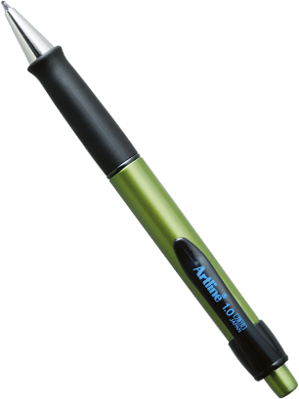 The Artline 8410 retractable BPP features a moulded rubber grip for comfort and control while writing. 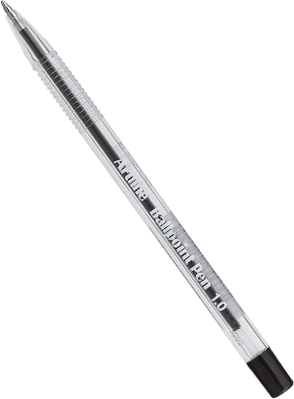 The hard wearing, tungsten carbide ball delivers smooth, medium line width. Available in black, red and blue. Smooth writing feel. 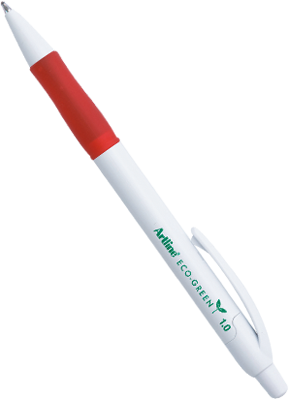 High class range of retractable pens. Body colour represents EARTH COLOURS. Smooth writing feel. 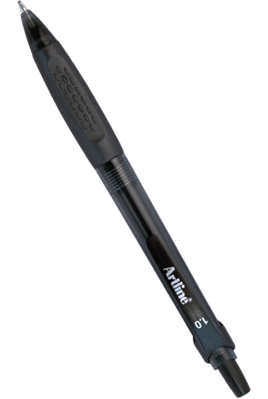 Standard retractable ballpoint pen for general writing use. Made from 91% recycled material.